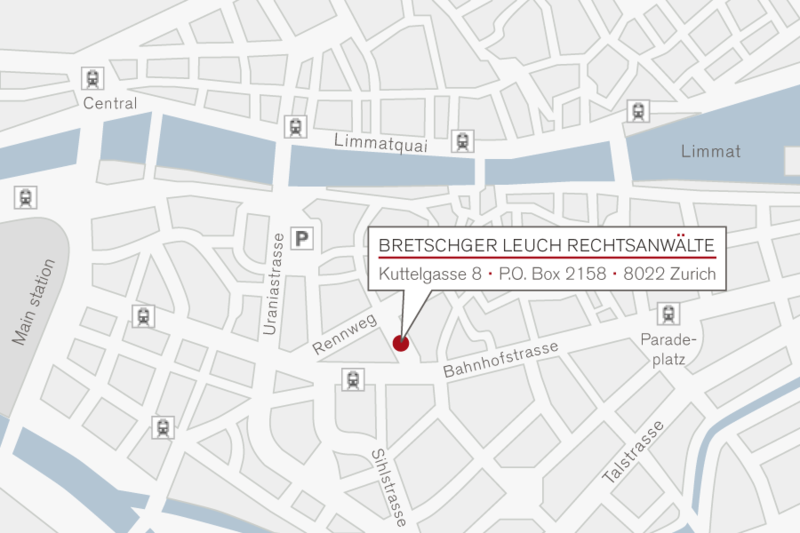 Our offices are centrally located in Zurich, 7 minutes on foot from the Zurich main station. Kuttelgasse is approximately halfway between the main station and Paradeplatz and connects Rennweg to the Bahnhofstrasse. The closest tram stop is Rennweg, which is served by trams 6, 7, 11 and 13, each of which travel along the Bahnhofstrasse. If you wish to reach us by car, we recommend you park in the Parkhaus Urania parking garage.